There seem to be a lot of head to head type previews of this series. We never really get much out of them, because cricket doesn’t really work on a points system. There are no judges comparing the two teams’ attributes. You decide which side’s the better by pitting them against each other. That’s kind of the point of the exercise. For example, the ‘key’ Anderson v Steyn battle is a nonsense. 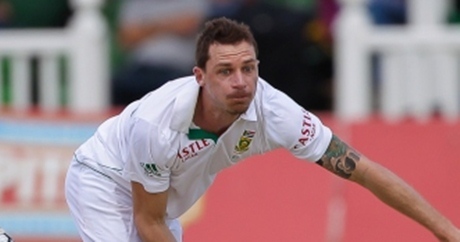 It’s Anderson v South Africa’s batsmen and Steyn v England’s. There are stacks of variables involved. You can’t really compare the two players easily even after the series has finished. There’s also the fact that all pre-series analysis is based on what players have done in the past, but no-one remains the same. We know that’s kind of the point of previews – to make use of the information available and look for trends – but we’re just a bit tired of everyone acting like they can predict the future. It’s just an irritating competition these days. With social networking and proliferating media outlets, it seems there are now hundreds if not thousands of people throwing their prognostications out there. Some of them will be right and they’ll gloat and claim points in the game of being a superior human being who knows how the world works. Yes, we’re railing against something entirely inconsequential and exhibiting more than a hint of hypocrisy in the process. What have you done with your day? What have India made of their first Test innings in South Africa? I spent much of my day typing the words “cricket media officer vacancies” into Google. Why didn’t you just type it once and then open each of the results in different tabs? Consider me well and truly told. I will now go back to my CV and delete the words “excellent IT skills”. This not judging players based on what they have done in the past thing may be a bit hard to sustain in the long run. It means no-one will have any opinions. It’s the way forward. It does mean my credentials as a test player would improve immeasurably. I agree – this exercise of pitting one player against another is entirely pointless. Instead they must be matched against people/things far removed from sport. My interest would be aroused if I see something like “Steyn vs The Washington Monument” or “Swann vs George Bush”. Anyone wearing a cap without a top should be stripped of the captaincy and forced to forfeit the series. You would never catch Wing Commander Strauss in such ghastly attire. That was nowhere near as hideous as we were expecting. He means the cap doesn’t have a top, everybody. It’s okay. It’s safe to click. It does look like the top has been sheared off in a Tom-and-Jerryesque cartoon violent near miss, perhaps a Finn bouncer. I just needs some singed hair and a whiff of smoke. Patrick’s links are NOT SAFE. One features Ricky Ponting. I haven’t heard a single “South African cricketer with psychological disorder” story yet this time around. Remember the glory days of Andre Nel and his voices, Neil McKenzie and his toilet seat rituals etc.?? Still, even if the Saffers get the upper hand at any stage of the match/series they are bound to choke. Rumours that Steyn is out of the series. Can anyone confirm/deny/speculate wildly? We heard that he had choked before the series had even started. Agree they are all rubbish. They don’t even make sense. For example, all of these head to heads have gone for Anderson v Steyn being the key battle. Surely, history says that they are both going to bowl pretty well. A bigger thing will be if Bopara scores 500 runs and Duminy gets bugger all or Morkel gets 25 wickets and Bresnan is bashed about at 5 an over surely?